No matter what you do, you can’t avoid excel. So, may as well dive into it & tame the beast. Here are 5 excel Add Ins that every data scientist should install. Import millions of rows of data from multiple data sources With Power Pivot for Excel, you can import millions of rows of data from multiple data sources into a single Excel workbook, create relationships between heterogeneous data, create calculated columns and measures using formulas, build PivotTables and PivotCharts, and then further analyze the data so that you can make timely business decisions all without requiring IT assistance. Data Analysis Expressions (DAX) DAX is a new formula language that extends the data manipulation capabilities of Excel to enable more sophisticated and complex grouping, calculation, and analysis. The syntax of DAX formulas is very similar to that of Excel formulas. Solver is a what-if analysis tool for optimization. 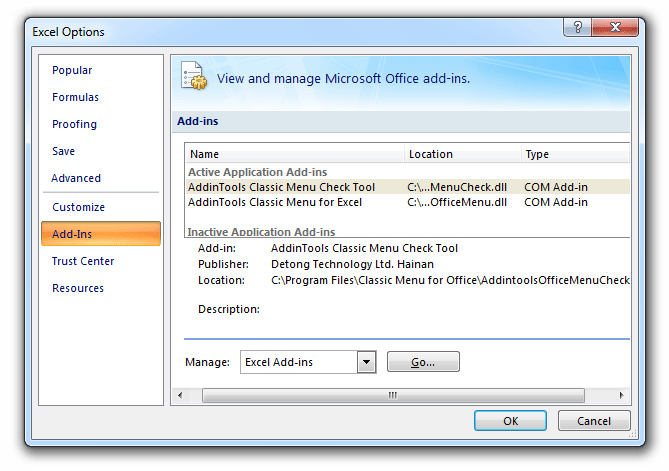 It is an add-in licensed from Frontline Systems that has shipped with Excel for many years. Solver helps to find an optimal value in one cell, called the target cell, on your worksheet. It has three solving methods for solving spreadsheet optimization problems. Simplex Method The Simplex method is used for solving linear problems. The Simplex solving method has several performance enhancements in Excel 2010 resulting in greatly improved performance for some problem types. GRG Nonlinear The GRG solver is used for solving smooth nonlinear problems. There is a new Multi-start search setting which when used in conjunction with the GRG solver results in better solutions, escaping locally optimal solutions in favor of globally optimal ones. Evolutionary Solver The new Evolution solver accepts Solver models defined in exactly the same way as the Simplex and GRG Solvers, but uses genetic algorithms to find its solutions. While the Simplex and GRG solvers are used for linear and smooth nonlinear problems, the Evolutionary Solver can be used for any Excel formulas or functions, even when they are not linear or smooth nonlinear. Spreadsheet functions such as IF and VLOOKUP fall into this category. There is a new type of integer constraint known as AllDifferent that form a permutation of integers, making it easy to define models with ordering or sequencing. The well-known travelling salesman problem is hard to define in the current solver, but it can be defined with just an objective and one AllDifferent constraint. Microsoft has added a number of new report types that provide additional detail about the problem being solved. Linearity Report If you try to solve a model that is not linear, Solver will indicate that linearity conditions were not satisfied. Feasibility Report If you try to solve a model that has no feasible solution, Solver will display the message “Solver could not find a feasible solution” in the Solver Results dialog. Population Report Where the Simplex and GRG Solvers find a single solution, the Evolutionary Solver creates a population of candidate solutions. When this Solver Engine stops, the best solution from the population is displayed on the worksheet, but a new report is available in the Solver Results dialog. The Analysis ToolPak includes the various tools some of them are described below. Anova The Anova analysis tools provide different types of variance analysis. The tool that you should use depends on the number of factors and the number of samples that you have from the populations that you want to test. Descriptive Statistics The Descriptive Statistics analysis tool generates a report of univariate statistics for data in the input range, providing information about the central tendency and variability of your data. Fourier Analysis The Fourier Analysis tool solves problems in linear systems and analyzes periodic data by using the Fast Fourier Transform (FFT) method to transform data. This tool also supports inverse transformations, in which the inverse of transformed data returns the original data. The Fuzzy Lookup Add-In for Excel was developed by Microsoft Research and performs fuzzy matching of textual data in Microsoft Excel. It can be used to identify fuzzy duplicate rows within a single table or to fuzzy join similar rows between two different tables. The matching is robust to a wide variety of errors including spelling mistakes, abbreviations, synonyms and added/missing data. For instance, it might detect that the rows “Mr. Andrew Hill”, “Hill, Andrew R.” and “Andy Hill” all refer to the same underlying entity, returning a similarity score along with each match. While the default configuration works well for a wide variety of textual data, such as product names or customer addresses, the matching may also be customized for specific domains or languages. Simple Decision Tree is an Excel Add-in created by Thomas Seyller. The Add-in is released under the terms of GPL v3 with additional permissions. Thomas created this Add-in for the Stanford Decisions and Ethics Center and open-sourced it for the Decision Professionals Network. Another Power tool is Power BI, but not in Add-in.